Featuring On-Site Catering By Award Winning Caterers The Gourmet Kitchen. We provide everything you need for a gorgeous, magical and memorable wedding. Our dedicated team, with years of experience, offers professional support to ensure your celebration is seamless. All you need to do is enjoy your special day! 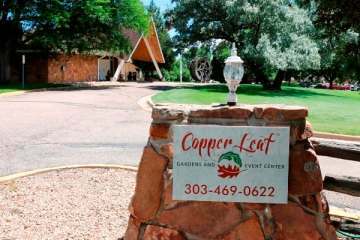 Copper Leaf is not only beautiful, it’s one of Colorado's most pristine out-door wedding venues with an outstanding Reception Hall. Whatever your business event, Copper Leaf has the solution for you. A beautiful setting in Broomfield just 6 miles from Boulder CO with a private parking lot with 100 spaces and plenty of street parking. Choose from informal business meetings to seminars and award presentations. We create an experience that will be memorable and create the perfect impression. 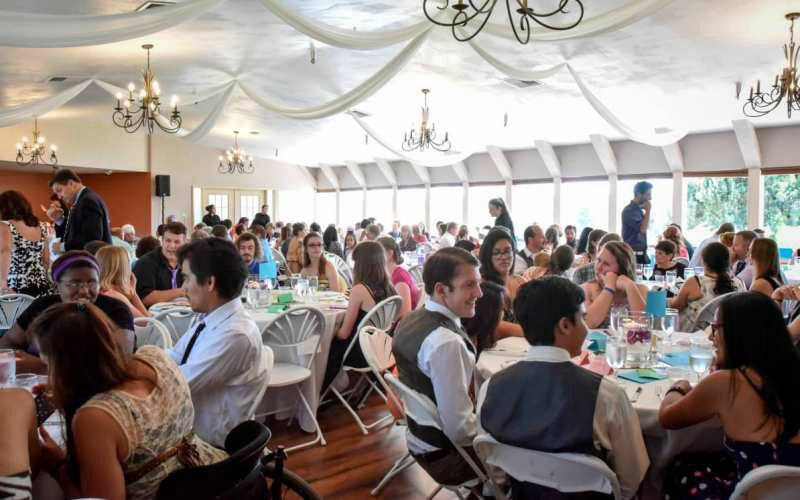 Whether it is a Vow Renewal, Anniversary, Elopement, Bar Mitzvah, Bat Mitzvah, Quinceanera or a Celebration Of Life, we have the experience and professionalism to make any social event a success. Full on-site catering is available along with a bar area, a wonderful outdoor space and Reception Hall with stage and audio visual facilities. Make your social event special. Here is a video tour of Copper Leaf Gardens and Event Center Colorado. The video shows client testimonials and a video tour of our venue. You will also see some live video clips inside the video of an outdoor wedding at Copper Leaf Gardens. The wedding venue can host both indoor and outdoor weddings, we also have a large Reception Hall with an additional bar and lounge area. Virtual Tour Of Copper Leaf Gardens. See the whole of our Colorado event venue in full 3D. You can look inside the reception hall and view our Gazebo and gardens. We have facilities for indoor and outdoor events such as parties, weddings, conferences plus business meetings and presentations. 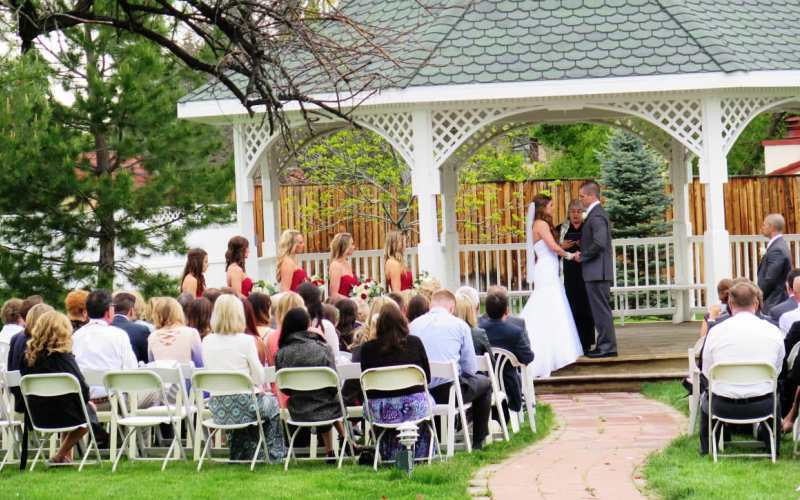 One of Colorado's premiere event venues, Copper Leaf Gardens caters for outdoor weddings, wedding receptions, corporate events, seminars, business meetings, holiday parties, fundraisers and much more. 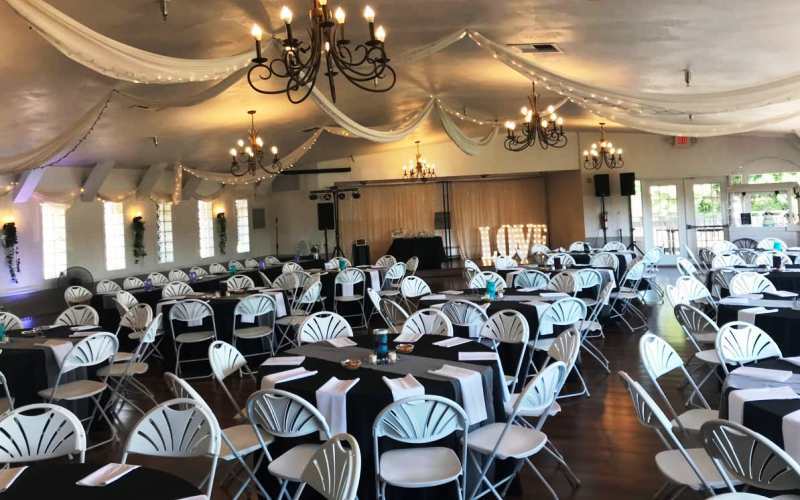 Situated in beautiful surroundings close to Denver and Boulder Colorado, Copper Leaf Event Center is an event venue that stands out from other Colorado venues. Disabled facilities and full catering facilities are available along with audio visual facilities, stage and free car parking lot. Drop Us A Line To Book Your Tour! Remember we are here to help with any questions that you may have. Your Message Has Been Sent - A Member Of Our Staff Will Be In Touch Very Soon - Thank You. 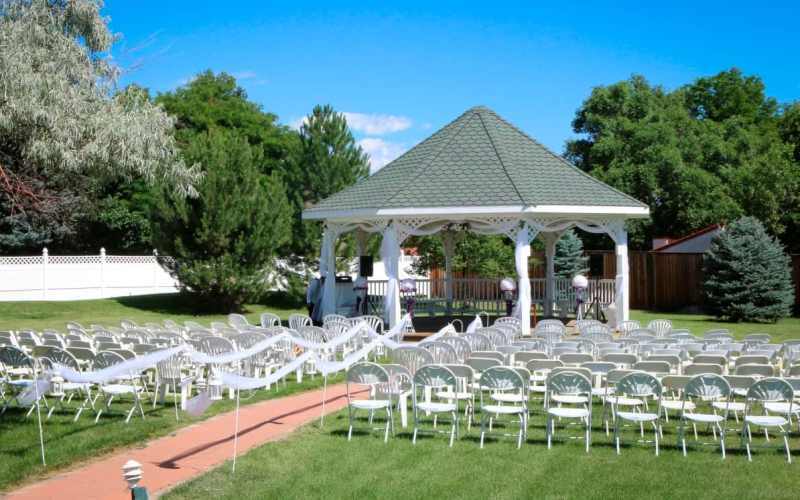 One of Colorado's most pristine outdoor wedding venues, along with our reception hall, bar, lounge areas and liquor license, Copper Leaf is the ideal venue for outdoor weddings in the Denver area of Colorado. As a business, it is important to create the right impression to clients and other organizations. Our Reception Hall is ideal for seminars, business meetings, presentations and award ceremonies. Catering for your wedding or event can make or break the experience of your guests. We are proud to have one of Colorado's top catering specialists, The Gourmet Kitchen, based at our venue. We are Wheelchair accessible, have plenty of private parking, have a liquor license, and provide luxurious Bride & Groom dressing rooms for you to relax & have fun! We feel that individuals and businesses should be good stewards of environment. We have committed ourselves to go carbon neutral by end of year 2020. We are situated in a low congestion area. Unlike most event centers in Boulder we offer FREE Parking with 100 spaces plus additional street parking. 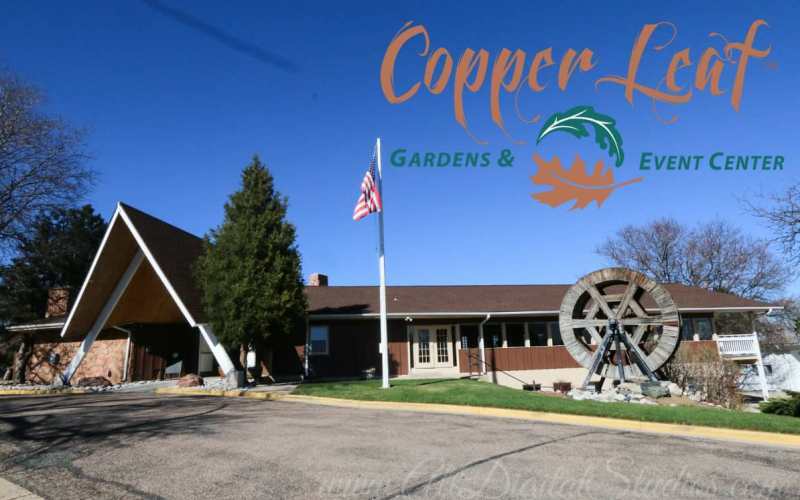 Copper Leaf Gardens & Event Center Creates Memorable Life Stories. 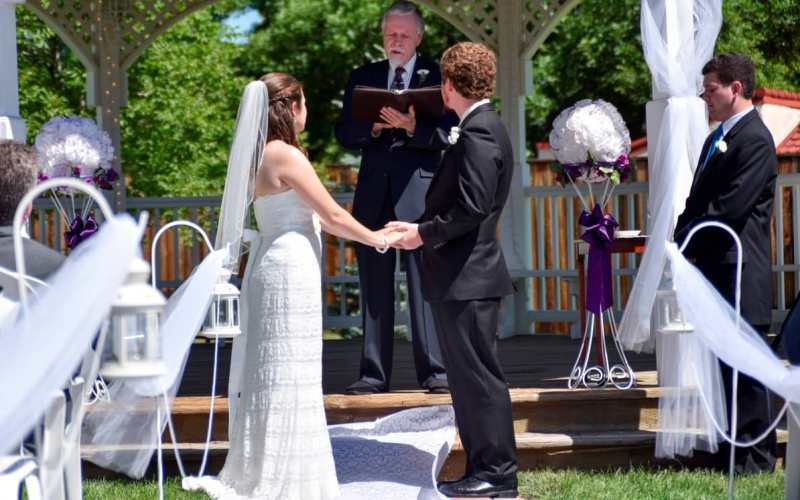 We specialize in indoor and outdoor weddings in Colorado, our facilities are also ideal for holiday parties (Christmas Parties) and Banquets. An ideal venue for office parties, business meetings, seminars and business presentations along with social events, fundraisers and Celebrations of Life. 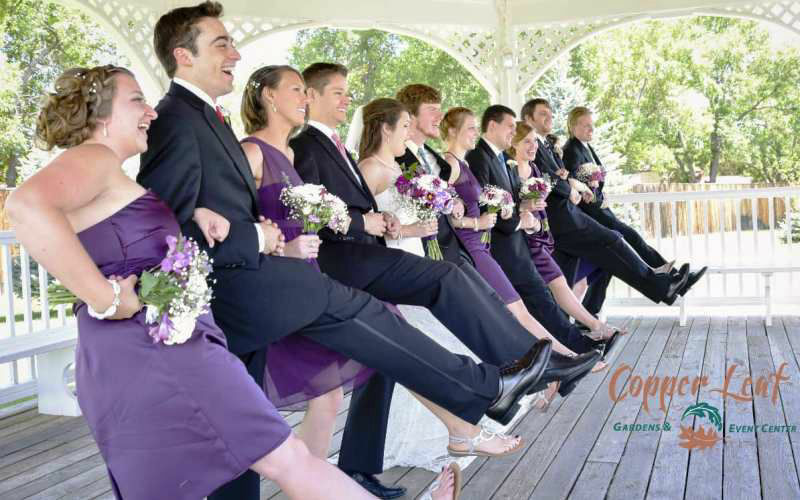 Copper Leaf Gardens really is the event venue of choice for many discerning brides and businesses in and around Broomfield Colorado. 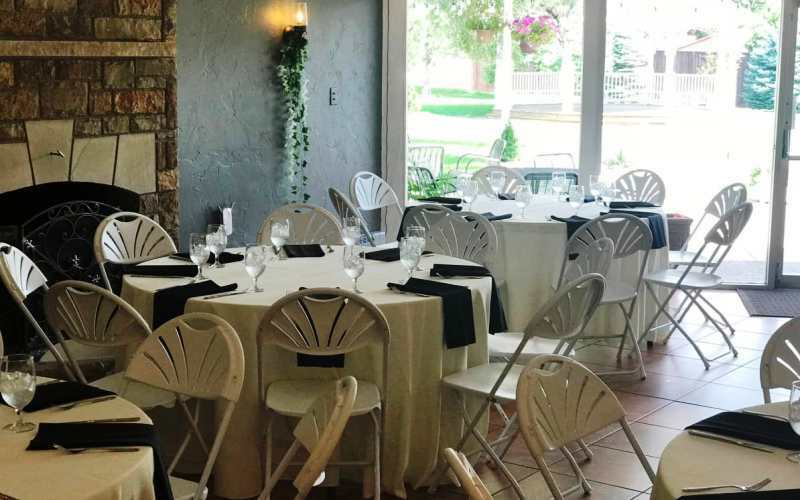 Only 20 minutes from Denver & Boulder, our Broomfield event center brings to you more than 30 years of experience in Catering and Event Management to make your event memorable. The rustic charm of our venue, coupled with gourmet foods prepared fresh on site for the discerning palate, makes our events feel like home with a lustrous elegance sure to please. Let us help you create a touchstone memory in your life! Copper Leaf Gardens & Event Center 1200 Miramonte St, Broomfield, Colorado 80020. 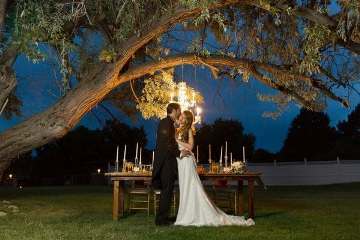 Event Center and Wedding Venue Broomfield CO Covering Denver, Boulder, Westminster and The Front Range. The ideal venue for any event not only in Broomfield. We are located in close proximaty to Boulder CO and just 30 minutes from Denver. 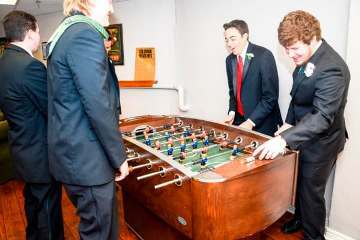 Thornton, Westminster, Arvada, Lafayette and Louisville are also close by so we are the ideal choice for weddings, parties and corporate business events.